Make A Difference In A Students’ Life By Becoming a Host Family! Host families play a vital role in students’ academic and personal growth! 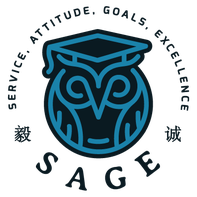 At Sage Global, we understand that it takes tremendous courage and generosity to invite a student from a different country into your home. Our team is dedicated to helping host families and students navigate any cultural and language barriers. Our goal is to help students acclimatize while making host families feel confident and comfortable at the same time. Each students’ assigned local manager is on-call at all times to answer any questions and assist with any concerns you may have. Host families also receive a generous monthly stipend for hosting our students. Sage Global has zero tolerance for discrimination and welcomes families from all backgrounds! -Able to provide a furnished bedroom that includes a writing desk, chair, a bed, and storage area. -Be culture friendly and has a caring, supportive-family dynamic at home. -Able to provide 2-3 meals a day. -Live within 45 minutes driving distance from the students’ school. -All adults living in the household have passed full background checks conducted by Sage Global. Can’t host at the moment? No problem! We provide a $100 bonus for referring a host family to us! Once we have successfully placed a student in the family you referred to us, we will send you a $100 check in the mail within one month after the students’ move-in date! How many bedrooms are available in the home? Please note that we do not accept room-sharing arrangement and room in basement. Does you or your family/friend have any experience in hosting before?